Today I will show you how to use module 7-segment-LED-N-Digits to display distance which is measured by ultrasonic sensor. I used HC - SR04. 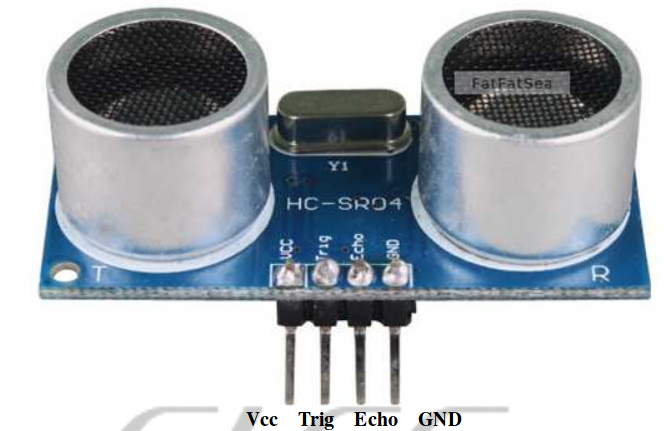 The sensor has 2 heads: one is emit the ultrasonic and one receives it when the ultrasonic is reflect by the obstacle. The range of this sensor is 2cm - 400cm non-contact. The picture below is timing diagram of HC - SR04. (1) Using IO trigger for at least 10us high level signal. (2) The Module automatically sends eight 40 kHz and detect whether there is a ultrasonic signal back. 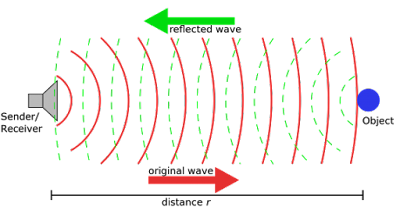 (3) IF the ultrasonic signal back, through high level, time of high output IO duration is the time from sending ultrasonic to returning. This module used IC 74HC595. It is a 8 bits shift register. With this IC we can save more IO digital instead of using a lot of IO pins to trigger each segment of LED. 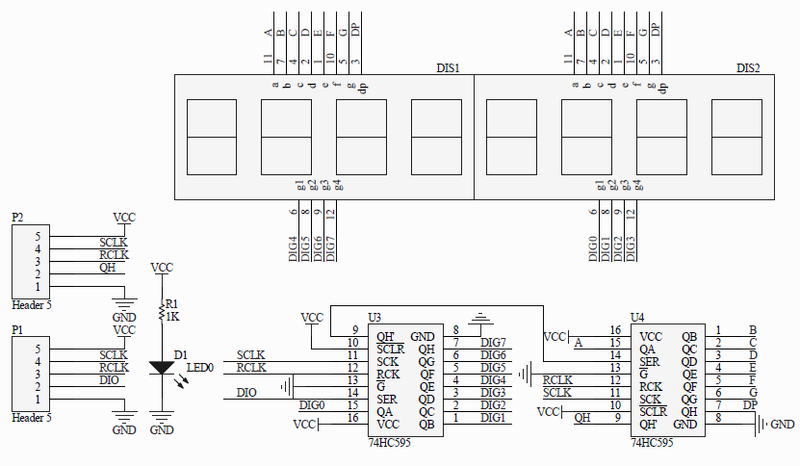 where SCLK, RCLK, DIO is pins that connect between ESP and LED module. 8 is number of LEDs in module. We can use ledm.setCharAt(8, 'd'); to set the value (here is character 'd') that will be displayed at specific LED (here is LED number 8). 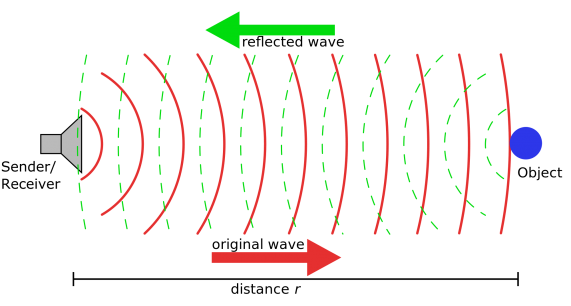 In order to human can see the LED clearly, the LED scan time will be default 400ms (25 frames/second). You can set it using setRefreshTime(ms). The callback function updateDisplayCb() will be invoked after every refreshing time to update new value for LED displaying. You should call "ledm.clearDisplay()" to clear LED module before updating new display. You can use ledm.displayNum(num, 3); to display the float number with 3 digits behind the dot character. 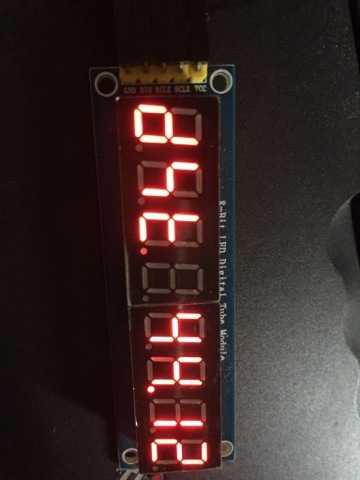 The function "ledm.loop();" will run continuously to update the display on LED. Our application has 2 FreeRTOS tasks: 1 for ultrasonic measurement and 1 for LED updating.